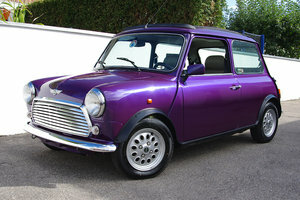 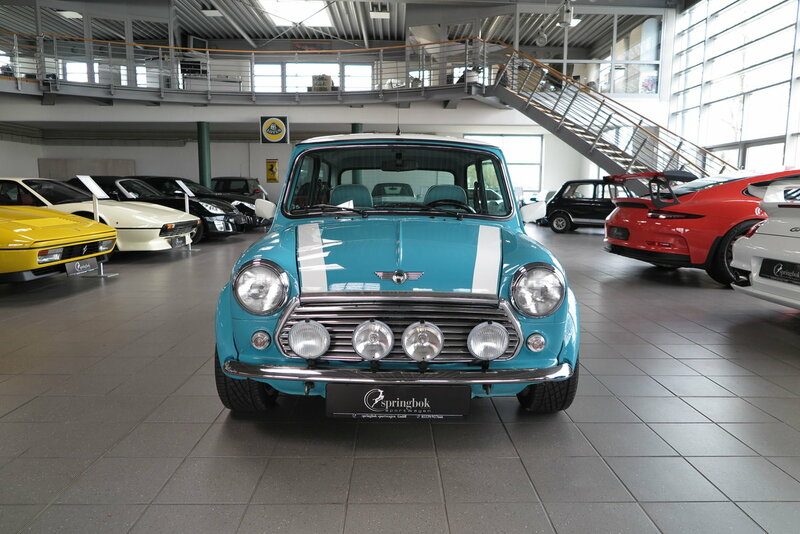 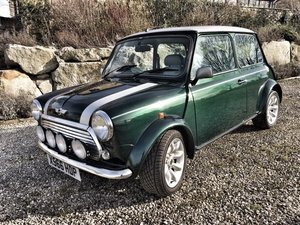 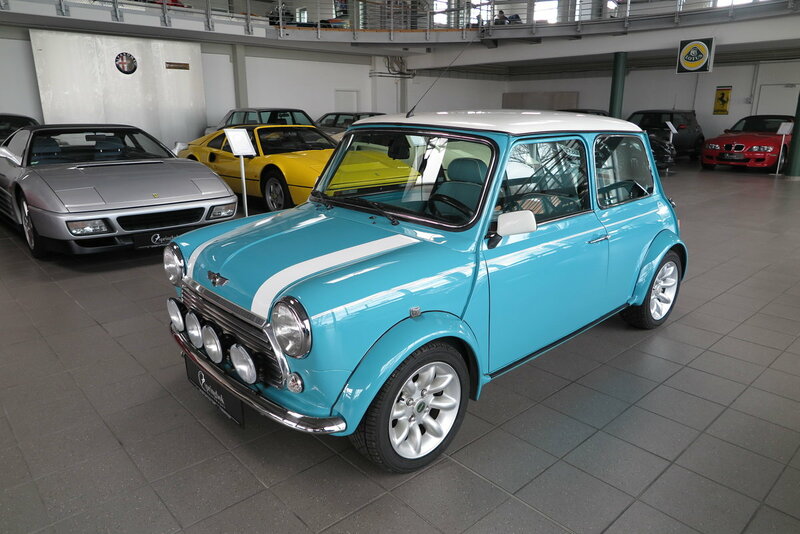 Very rare 1998 Mini Cooper 1.3 Mpi (Sportspack) in the original delivery colour Surf Blue with white roof and white stripes on the hood and a turquoise leather interior. 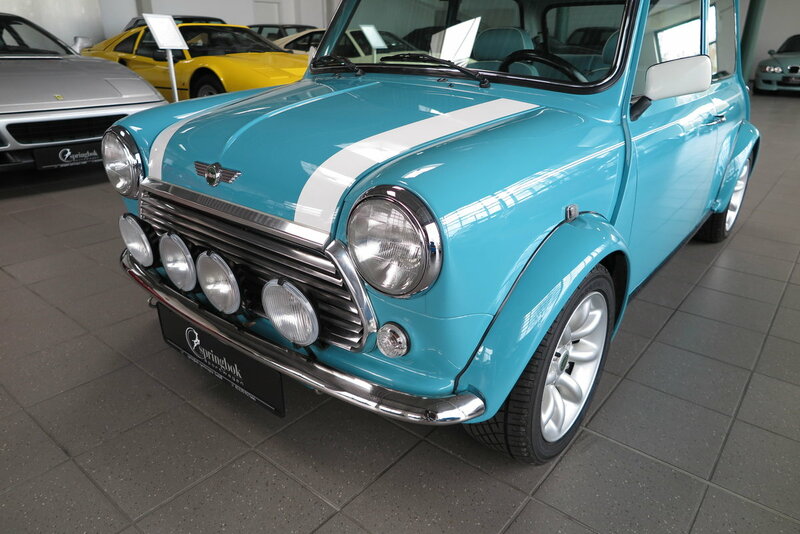 This colour originally was only meant for the English market, and only a few had the luck to order their Mini in this luxuriant colour. 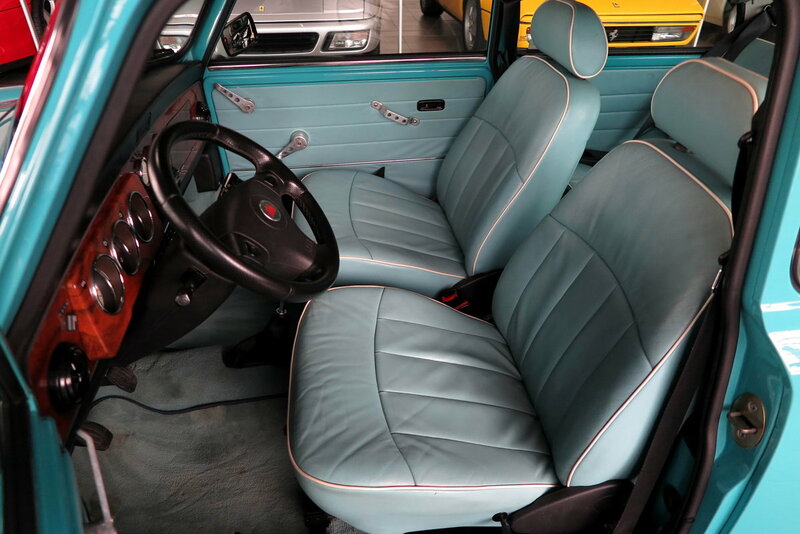 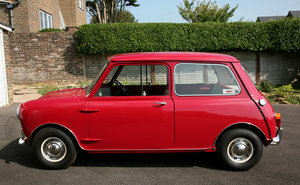 It is estimated that only about 15 left-hand drive cars were produced in this colour. 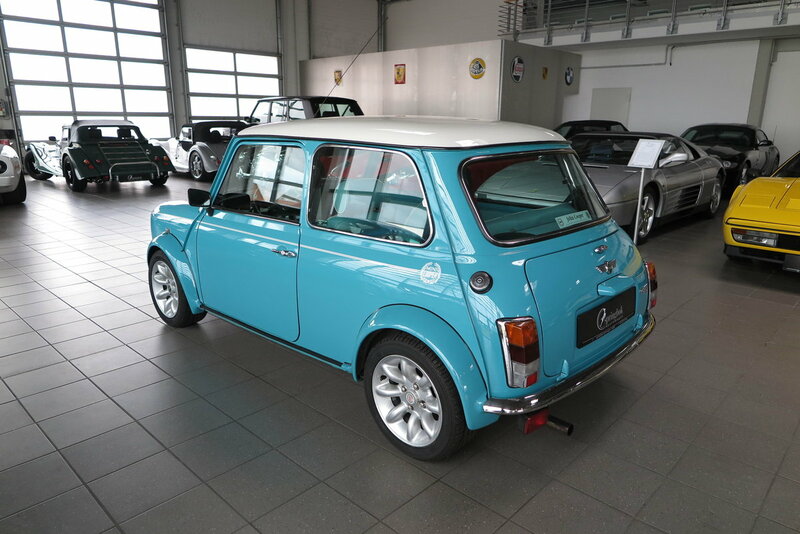 The Mini is in an extraordinary condition and comes with comprehensive documentation including the Mini board folder (incl. 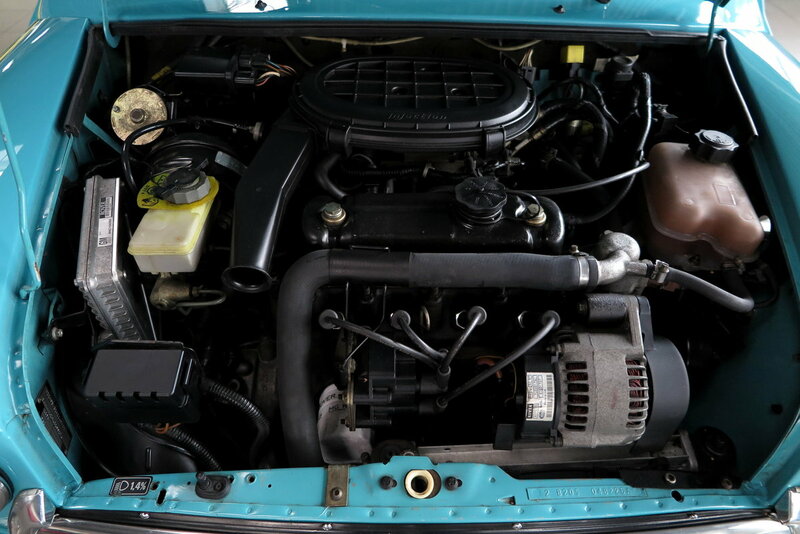 service booklet) along with various invoices and receipts.